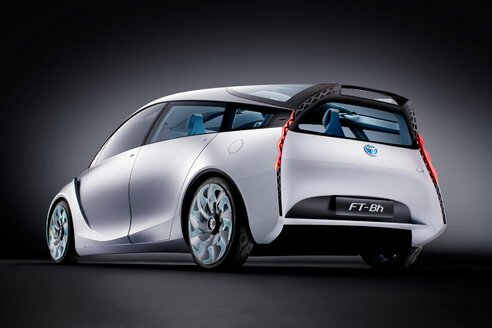 Now you can drive with the future car as Toyota has launched its Future Toyota B-segment Hybrid, FT-Bh. The new car will be making its world debut at the Geneva Motor Show. Full- Hybrid efficiency is expected from the powerful engine. Latest technology is used to engineer this vehicle. Let’s have a look what smart features will this new spectacular vehicle will have. FT-Bh will exhibit an exceptional exterior with huge lower grille, together with a carved bonnet and thin roof pillars. The headlamps are integrated elegantly in the front. The aerodynamic body is manufactured to make it super light in weight. The FT-Bh is 3,985mm long, 1,400mm tall and 1,695mm wide with a 2,570mm wheelbase. The weight is reduced to 786kg by using high-tensile steel, aluminum and magnesium which not only increases the speed and avid thermal losses. The 18-inch wheels are fixed with slim, huge diameter 145/55 low-rolling resistance tyres. The interior is made spacious with a large cabin. The interior roof is designed with stretched fabric. The seats are also made comfortable so that your whole family can relax and enjoy while driving. The two-cylinder, 1.0-litre Atkinson cycle petrol engine is expected to give powerful performance. The engine can give high fuel efficiency with low thermal capacity. Fuel economy of just 2.1 litres/100km and CO2 emissions of just 49 grams/km is expected from the new vehicle. Innovative technology will be the trait of new FT-Bh. 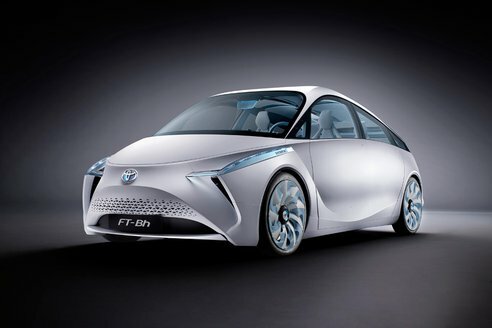 So, get ready to experience the new car of future, the Future Toyota B-segment hybrid.